• Three medical doctors reportedly arrive Nigeria to treat Buhari. Strong indications have emerged from the presidential villa that ailing Nigerian president Muhammadu Buhari is set to make world record by seriously considering resignation as the president of the country due to his inability to effectively pilot the affairs of the country as a result of ill health. The meeting by three former military Heads of State Generals Olusegun Obasanjo, Ibrahim Babangida and Abdulsalam Abubakar in Minna, Niger state on Tuesday was to consider two strong burning issues before allowing President Buhari to turn in his resignation letter to the National Assembly. The three former leaders who met in Minna under closed doors consider the former speaker of the House of Representatives and current Sokoto State Governor Alhaji Aminu Waziri Tambuwal and immediate past Kano State Governor and serving Senator Rabiu Musa Kwamkwaso as possible vice president to Prof Yemi Osinbajo in the event he takes over. President Buhari had mulled the idea of resignation with the three former leaders in close confidence which necessitated the Niger state impromptu meeting. Another strong issue discussed at the Niger meeting according to credible source was whether Prof Osinbajo will want re-election after completing the tenure of president Buhari in 2019 and the meeting resolved to meet with the vice president to seal the agreement in a written document under a witness that he will complete the remaining two years and go to pave way for the emergence of a Northern candidate by 2019. A credible source at the Presidential Villa who pleaded anonymity told our correspondent that president Buhari has made up his mind to resign and he feels fulfilled that his aspiration to rule this country again has been achieved, in addition to the anti-corruption fight and the war against Boko Haram in the North achieved under his leadership. President Buhari according to the source has given the three former leaders the opportunity to select a credible Northerner that will deputise Prof Osinbajo and seal a deal with him that he will only complete this term and leave . Tambuwal is considered for the position of vice president because of his youthful age, performance as House of Representatives Speaker and governor of Sokoto state as well as his acceptability in not only the north but across the country while Kwamkwaso who equally performed creditably well as Kano state governor is fronted by Olusegun Obasanjo. In another development we gathered that three medical doctors arrived Nigeria on Thursday to attend to President Muhammadu Buhari at the Presidential Villa. According to Sahara Reporters, the doctors are all British and Caucasian – two males and one female. A source allegedly told the news platform, that the National Intelligence Agency (NIA) has set up a “safe house” in Abuja, where Buhari is being treated by foreign doctors. It is believed that the arrival of the medics, is to prevent the President from leaving the country. There were speculations that Buhari was scheduled to leave Nigeria on May 10 for another medical trip. Chief of Staff to the President, Abba Kyari, was also reportedly seen on Wednesday seen moving a lot of documents out of the Villa. 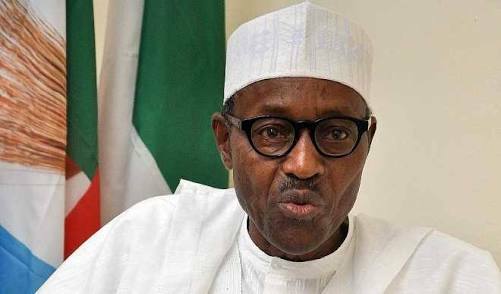 Buhari has failed to convene the weekly Federal Executive Council (FEC) meeting for four consecutive weeks. Northern Elders Kicks As Buhari’s Resignation Letter Leaks, Osinbajo Take Over TENSION!! .